Roasting Brussels Sprouts have converted me from hating Brussels Sprouts and made them one of my favorite sides. I’m sure there is some science and chemistry behind how it works, but somehow roasting them kills their natural bitterness and brings out the flavor. Roasting vegetables is in general the best way to make them. The sad part is I don’t do it enough because it takes so long to get the oven hot enough and then actually roast them. Plus, I’m usually using my oven for other things. But I recently discovered you can roast brussels sprouts in a pan on the stove! 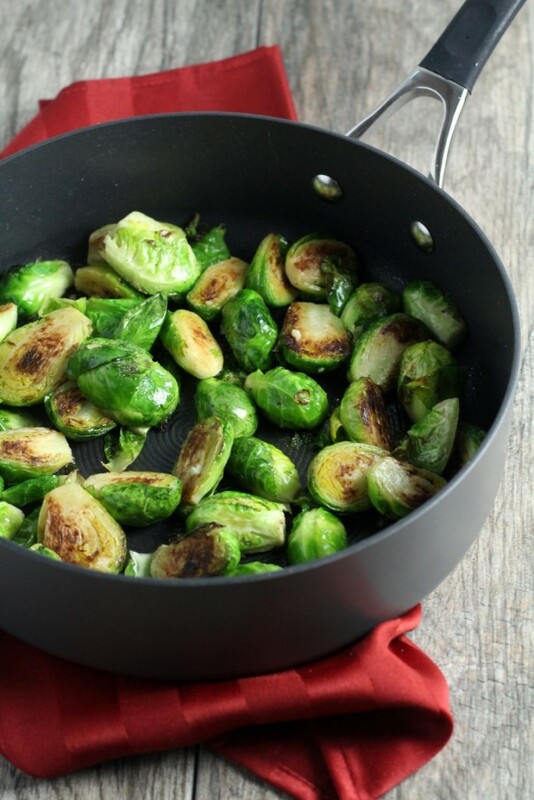 It’s simple, preheat the pan with a little olive oil, lay the Brussels sprouts in cut side down and cook them until they turn that roast-y brown and are tender, which is less than 10 minutes. Since I discovered the stove-top method, I’ve made them multiple times throughout the past month. 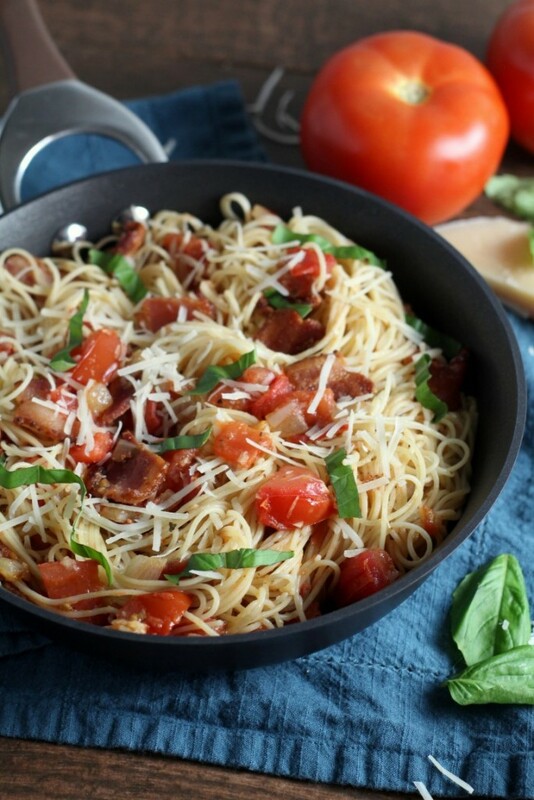 They pair well with about any main dish and are simple enough for every day, but are also dressy enough for special occasions. 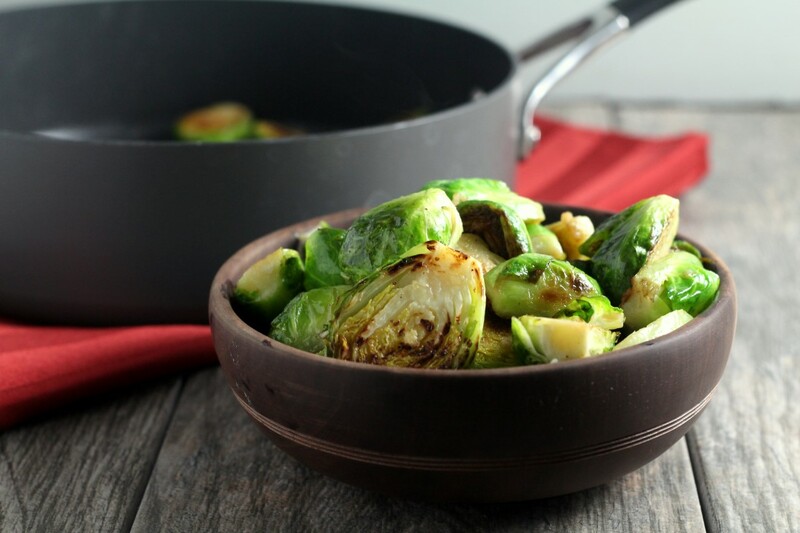 Find the recipe for these Simple Pan Roasted Brussels Sprout here!